The Compact Model Coalition (CMC) membership is open to companies in the semiconductor community that sell or use tools which use SPICE (Simulation Program with Integration Circuit Emphasis) device models, also referred to as Compact Models. First, complete the membership agreement and return via fax or email. The agreement will be reviewed for approval. After approval, complete the model selection form, which determines model designation rights. The membership price is determined based on how many models are designated. Model designation provides companies with access to model working group materials, bug fixes, model beta code, the model quality assurance testing program, and voting rights on changes. After model selection, an invoice is sent to the new member. 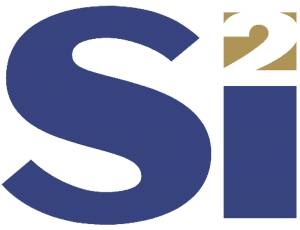 After Si2 receives a purchase order, payment, or deferral (see step two), the member is given access to the CMC members-only site, and designator-only model working groups. Obtain a quote for your company, based on number of models designated. Download the membership agreement, complete, sign, and return. After the agreement is signed, or if you prefer, in parallel, you will also need to fill out the model designation form for the current year. If it is currently past mid-year, your company’s start date for membership dues can begin on June 1. However, a full year’s payment will still be required (June 1 through May 31 the following year). However, the following year, your company will be billed for just six months (June 1 through December 31) to participate. Finally, though the membership is a calendar-year membership, if your company’s fiscal year begins later, the form provides the option of deferring payment until May, provided an authority within your company provides a guarantee of payment, though their signature. Copyright 2016-2018, Silicon Integration Initiative, Inc. All Rights Reserved.